For perfect measurement, measure your wrist above the hand and then add 1/2 inch to that number and choose the closest size option available. This bracelet invokes a passion from a long forgotten romance with its alluring colors and swirling loops. 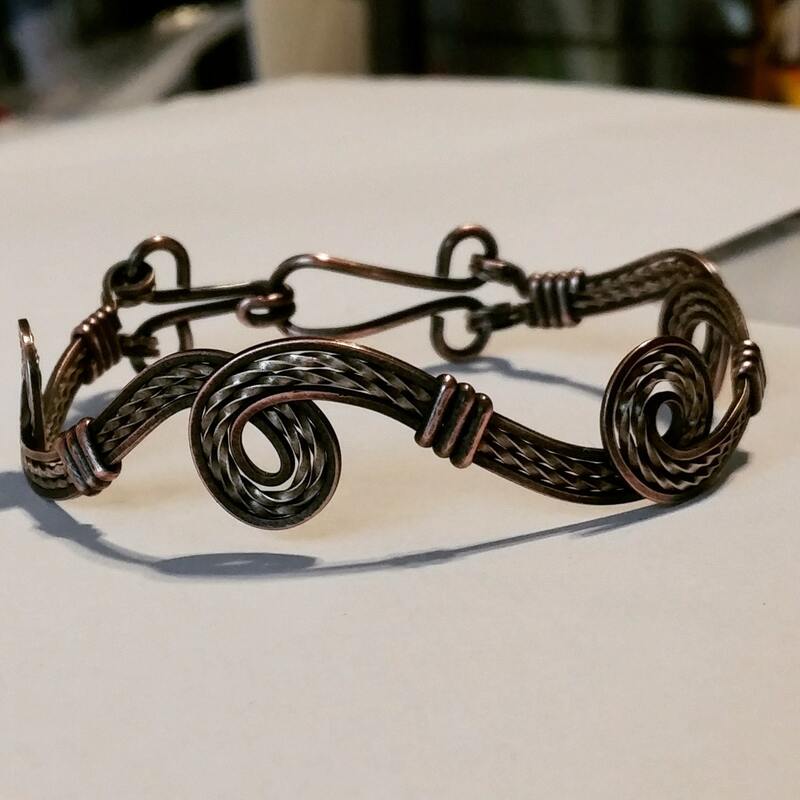 Using .935 Argentium Silver and Copper, this bracelet is treated during creation to acheive the Blackened/Antiqued appearance which will last indefinatey. A beautiful addition to any treasure box.